A Maiden Stakes over 5f 20y on standard going. Ten two-year-olds take part: eight with race experience and two debutantes one of which may have the ability. Unless something of a surprise, this looks a five-horse race. Let's start with the intriguing debutante. Robert Cowell's finally gaining the credit he deserves as a talented trainer and Wadood must have been showing ample ability on the gallops. I've had my eye on the entries and this son of Kodiac was meant to run this week but withdrawn. A 55,000G yearling purchase racing in the silks of Abdullah Al Mansoori. Cowell isn't a trainer to hype and it could well be significant that this bay colt has been entered to run in two stakes races of late. The tissue prices suggest he could start favourite [Sporting Life: 2/1]. Difficult to know how he will fare in the betting. It's advisable to let the market settle if betting. Drawn in stall two looks good although a tardy start would bring concerns. 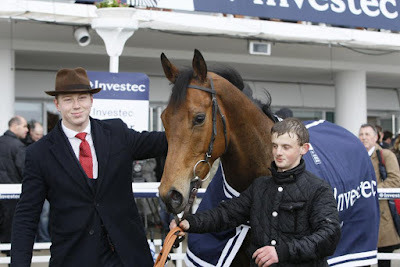 I feel this juvenile has some ability and his trainer can ready a debutante to win on his racecourse bow but it is never easy for a horse starting its career against experienced opposition over the minimum trip on a turning course. It would be enough to make me keep my money in my pocket although the signs suggest this April foal has the ability to shine this season. Sometimes you have to take a punt that a horse will come back to form. In many respects, Khelly's Edge looks pretty moderate after being beaten double-figure lengths on both starts to date. However, I'd take a bet that connections think this bay filly as one of their better juveniles. This daughter of Kheleyf is well bred out of Edge Of Light and cunningly sent through the sales for just £10,000. Relatively fancied on debut, she had no luck and could have hit the frame when behind Sutter County. There was money for her on debut and then connections had loftier ambitions sending her to York for the Marygate Stakes Listed race over 5f. Bookmakers made he a 50/1 outsider that day and she ran like a 1000/1 shot. Clearly, something was amiss and the reason Scott Dixon's charge hasn't been seen since May. She has blinkers applied for today and I would expect a much-improve performance. If available at big odds [10/1+] I'd be tempted to have an each-way bet. Gerard's Run hasn't done anything wrong in his three races to date. This Irish-bred son of Captain Gerard is owned by The Roaring Twenties syndicate who started the season all guns blazing with a fair old string of juveniles to their name. His second start at Haydock behind Plata O Plomo was decent and performance over 6f at Chepstow battling. The form of that race is not bad at all and this chestnut colt has enough ability to win a maiden. Elegantly Bound is a breeze-up purchase for The Cool Silk Partnership who have done very well with similar purchases over the last two years. This bay colt is a son of Choisir and cost £55,000. He was set a stern challenge of debut behind Poet's Societ. He didn't shine next start when stepped up to six furlongs at Nottingham, weakening quickly after being prominent. I imagine connections consider this juvenile a nursery horse and may be using this maiden to gain a mark. I would take a watching brief. Richard Hughes has been a disappointing trainer as far as his two-year-old have gone this season. He has had a number well found in the market and most have disappointed for one reason or another. Goodwood Crusader is owned by the Goodwood Racehorse Owners Group and relatively fancied on debut at Leicester where he started at odds of 8/1. Both starts have been over the minimum trip and behind Pretty Vacant trained by Roger Varian. This son of Sir Prancealot tired in the final furlong on debut to finish second from last but showed promise last time out at Lingfield, finishing fourth beaten a similar number of lengths. This January foal cost 44,000G at the yearling sales and a progressive type. Could well have each-way claims. Conclusion: With no betting to help aid this post I've used the tissue prices which may be akin to reading the Beano. Let the market settle before making a bet especially if Wadood is favourite. I've little doubt this colt is held in some regard by connection but I find Cowell a difficult trainer to judge with debutantes to a point where I would be fearful of taking the plunge. This son of Kodiac may win with ease but racing against experienced horses on a turning course mean it has to be fit and ready. Any lack of experience will make this a difficult task. Not a bet for me. If Cowell's charge is a short price it could mean a few of these have value. Considering it looks a five-horse race there may be a fair each-way bet. Gerard's Run has proven form and looks a solid type. If drifting to an each-way price would be a decent betting proposition. Khelly's Edge is tempting in ways. Connections hold this filly in some regard and she showed promise on debut. The problem is that last start which brings about a number of questions and reason why a big price would be needed to bet. Blinkers are applied for the first time and I think connections will tell Swift [jockey] to press on and try to keep out of trouble. In that sense, exchange players may well be able to steal a few points for a non-lose bet. If this filly is back to her best, this looks a prime chance and if available at 10/1+ a fair each-way bet.